Considering it was born just after dawn with cloud resting on the hilltop and rain dripping from the trees, our first lamb seemed reasonably robust — it was standing but, ‘It looks a bit torpid,’ Alan said as he handed me the binoculas. We watched — it had done the two most important things — it had breathed and it was on its feet but it would not suckle. 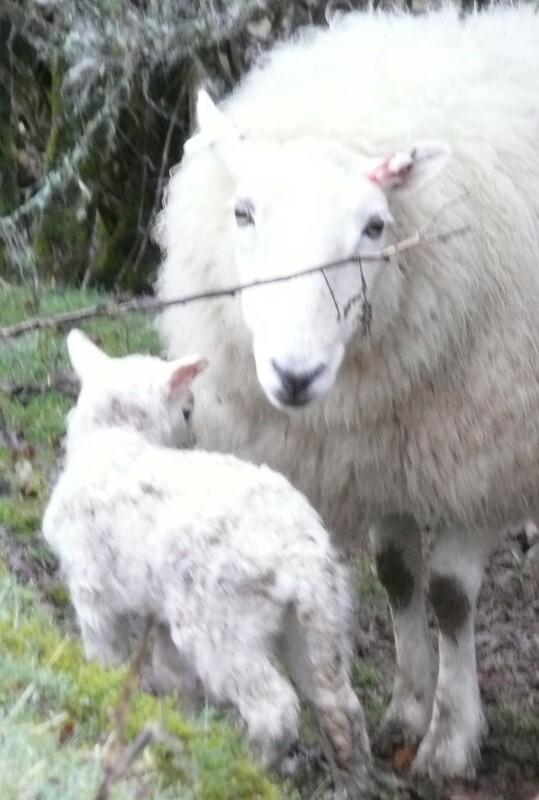 Our most skittish ewe had delivered it onto the moist leaf litter behind the hedge and it teetered around under its mother’s belly looking for something (it did not know what) but it tired and slumped down onto the wet grass when its mother pawed at it ominously with her foot. It stood again and she nudged it backwards along her side. Half heartedly it butted the ewe’s back leg, missing her udder, failing to let down any milk and not sensing the teat at all. Again it flopped down in the mud. 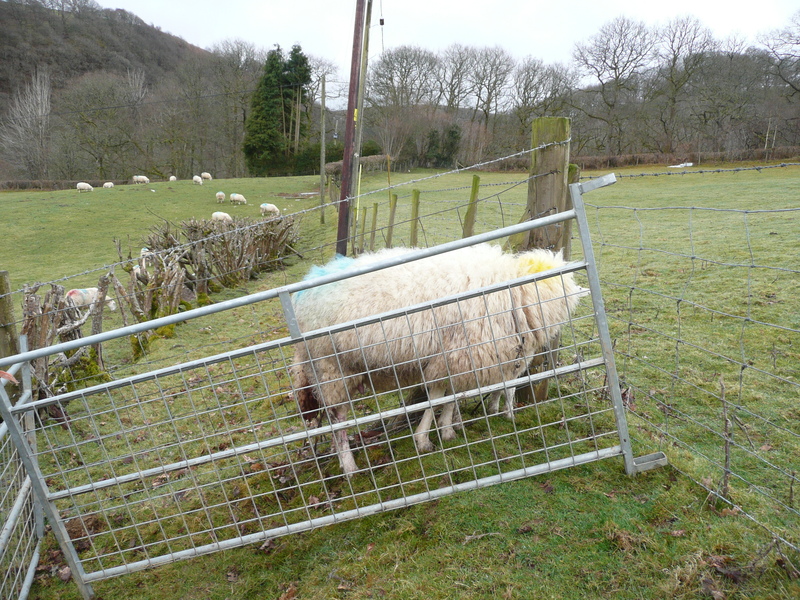 This happened over and over and the ewe looked pitiful — uncharacteristically she let me come very close. Something would have to be done — the lamb was getting weaker, the ewe was pawing at it more roughly, more desperately. A makeshift pen was constructed nearby and I carried the lamb into it, it was female, her mother followed without any fuss — even human mothers comply with their attendant’ suggestions when at their wit’s end. The lamb didn’t like being picked up and a little surge of adrenaline probably did it good. 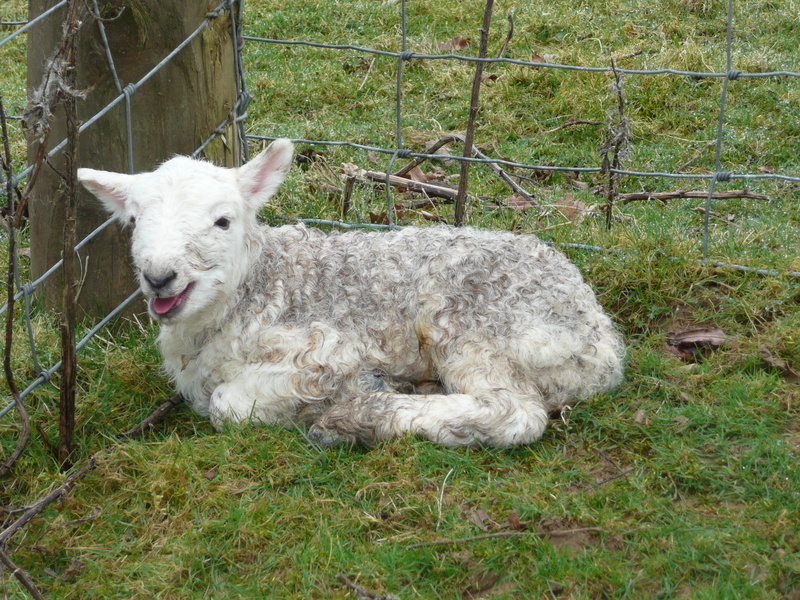 As I placed it on its feet, it ran to its mother (now restrained by a hurdle) it butted her udder, which is what they do when they run home for safety, and I squeezed the teat which squirted the lambs face with milk — she latched on immediately and fed. Full stomach, ears up, baa working, bowels working, bladder working, numbered like Mum (number 12, on the other side) and tummy sprayed with iodine, she is ready for a healthy sleep and not the engulfing drowsiness of hypoglycaemia that can carry off even a healthy lamb if she cannot achieve all three gaols of her birthday — breathing, standing and feeding. Now she can do them all! → Pink Balloon but No Celebration.